Simply stated, brainwave biofeedback, also called neurofeedback, is the direct training of the brain to stay more calm and focused without medication. Over the past 30 years, many clinicians have reported the effectiveness of this totally natural and non-invasive process for treating ADD. In fact, the American Academy of Pediatrics named neurofeedback a “Level 1: “Best Support” Intervention for ADD on par with medication” in 2012. For parents who are wary about using a single approach (such as medication alone) to treat their child’s ADD, neurofeedback is a welcome alternative; offering benefits that continue to persist well beyond each treatment session, with zero negative side effects. Electrodes are placed on the scalp, measuring the number and type of brain wave patterns; in particular, theta and beta waves. The patient—child, teen, or adult—is asked to play games with their minds using a computer screen. The computer feeds back to the patient the type of brain wave activity it’s monitoring. When the brain responds the way it’s supposed to, the computer software rewards the patient (on screen). If the patient gets distracted, the computer responds by the game or movie stopping, letting the patient know that they need to relax or focus more. Over time, people with ADD can literally train their brains to become more active, naturally! Neurofeedback is powerful, in part, because the patient becomes an active part of their healing by gaining more control over his or her own physiological processes. Improve their reading skills and decrease their need for medication. Decrease their impulsivity and aggressiveness. Improve the quality of their sleep. Of course, neurofeedback is not an overnight cure. People will often need to do 30 to 40 sessions to see a significant benefit, and this is very individual. I will work with you or your child to get to lasting results quickly. Learn more about neurofeedback strategies for each type of ADD in Dr. Amen’s new book, Healing ADD: The Breakthrough Program that Allows You to See and Heal the 7 Types of ADD. Call today to schedule your free demonstration of Neurofeedback at the Brain Training of New England Center in Kittery, Maine. 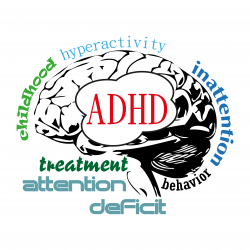 Can neurofeedback treat the symptoms of ADD and ADHD without medication? People with ADD/ADHD can display a variety of symptoms and may appear to be distracted, impulsive, and inattentive. However, ADD/ADHD is not a psychological problem – it’s a brain problem and often treated with medication when brain training can be a better, more healthy alternative. Moreover, children with more significant ADD or ADHD may not gain much benefit from medications or behavioral interventions. People can also develop a tolerance to medications over time, resulting in increased dosages, additional medications, and potentially more side effects. [W]hile research has conclusively proven Ritalin’s short-term effectiveness, little is known about the long-term efficacy and safety of a drug that some children take for many years. In fact, the average duration of randomized trials of the drug is 3.3 weeks…. There aren’t long-term studies, and that’s of some concern because we don’t know whether the initial positive effects… might diminish over time. Moreover, we don’t know what happens to the side-effects… whether those got worse or maybe they diminish too – we don’t really know. 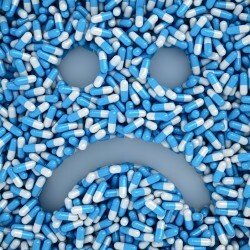 Unlike medication, neurofeedback actually retrains the brain, resulting in significant improvement in ADHD/ADD symptoms. With neurofeedback, people learn to make long-term improvements in self-control and attention because their brain learns to make healthier patterns. Training the brain with neurofeedback helps to address the root of the problem without medications by helping create a healthier brain. Why is neurofeedback so effective for ADD/ADHD? If a stimulant literally speeds someone up, why is it prescribed for someone with hyperactivity problems? Why do stimulants seem to help someone with ADD/ADHD slow down and focus? In a person with ADD or ADHD, the areas of the brain that control attention and focus may have too much slow activity, which can also lead to feeling depressed, worried, and unmotivated. Unconsciously, people with ADD/ADHD increase body movements to stimulate and “wake” their brains. Therefore, stimulants are prescribed to increase brain activity without increasing body movement. The problem with this strategy is that people with ADHD may already be experiencing too much rapid activity in some regions of the brain, which can lead to other problems like acting aggressively, impulsively, or feeling anxious. A person’s brain can race so fast that it is nearly impossible for them to sit still or listen. In fact, because people with ADD are often quite intelligent, they understand concepts quickly. Their fast mental pace may cause them to move ahead before all the instructions are given, causing them to miss crucial details. Research shows that neurofeedback is a successful alternative for treatment of ADD/ADHD. ADD and ADHD are brain problems. Neurofeedback allows people to work directly on the problem by training the brain to become calmer, more focused, and less impulsive. By reducing the too-fast and too-slow brain patterns that occur in the brain of someone with ADD or ADHD, neurofeedback helps the person learn how to take control. According to health professionals who use neurofeedback in their practices, over 85% of clients with ADD or ADHD learn to increase focus, reduce impulsivity, and manage their behavior when they train with neurofeedback on a consistent basis. Another reason that neurofeedback is so effective for ADHD and ADD is that it appeals to children – it seems just like a computer game! Instead of controlling the game with a mouse, the child “plays” the game with his or her brain. Children seem to enjoy brain training, making it easy to continue with treatment and achieve significant improvements.